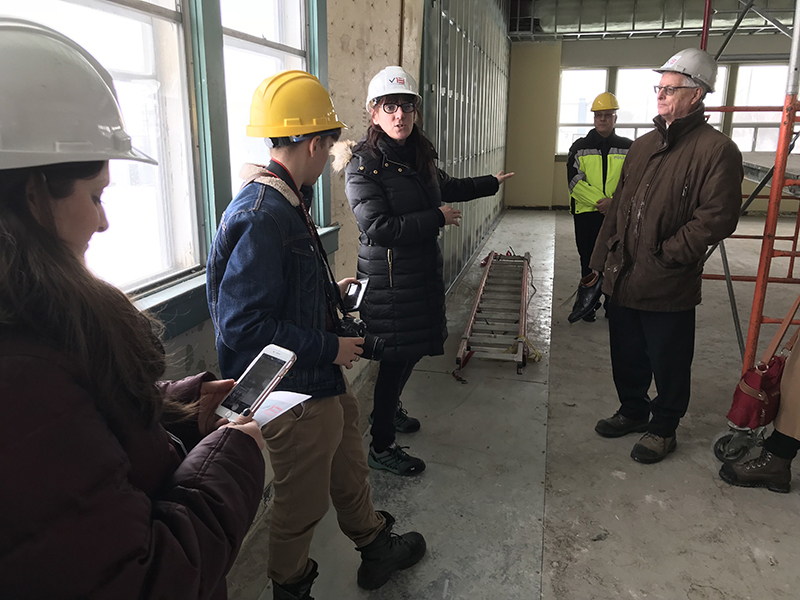 Media and Cobourg town councillors were given a tour of the new Venture 13 space on Friday while it is undergoing renovations as part of a public information campaign to keep residents up to date as the $2 million project progresses, said Communications Officer Ashley Purdy. Here is a photo gallery of the tour. Venture 13 is the town’s new entrepreneurial incubator to draw new and small business to the area. Community Futures Development Corporation Executive Director Wendy Curtis explains the role the CDFC will play in the new Venture 13 building on D'Arcy Street on Friday. 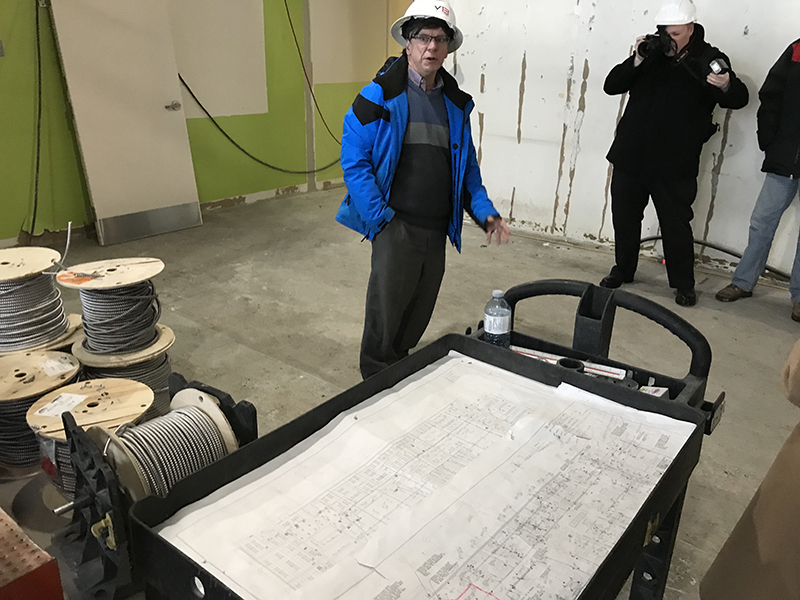 Cobourg Chief Administrative Officer Stephen Peacock takes media and councillors explaining the various uses of space within the new Venture 13 site on D'Arcy Street Friday. 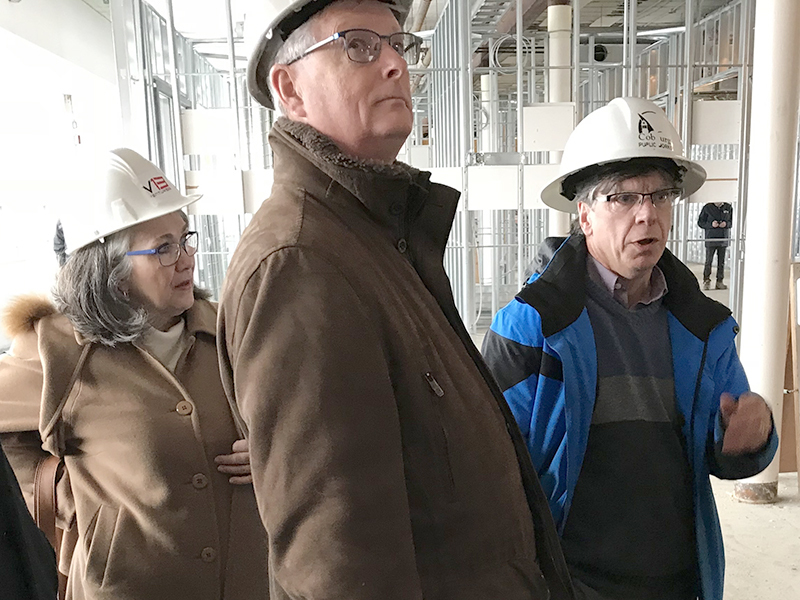 Councillor Deb McCarthy, Deputy Mayor John Henderson listen to Chief Administrative Officer Stephen Peacock during a tour of the new Venture 13 building on D'Arcy Street on Friday. 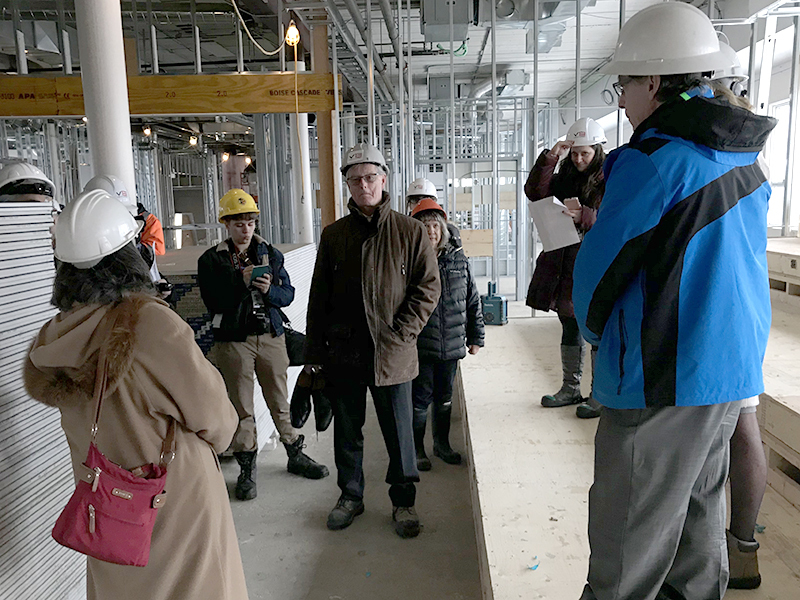 Deputy Mayor John Henderson and Councillor Deb McCarthy chat as others look on during a tour of the new Venture 13 building on D'Arcy Street on Friday. Cobourg Chief Administrative Officer Stephen Peacock describes the function of the prototype lab where entrepreneurs will be able to build one-off items for testing. 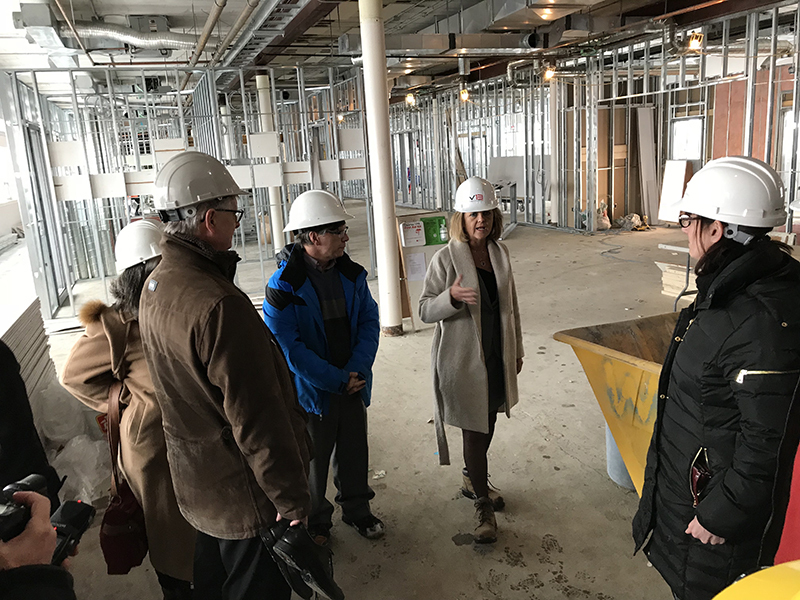 Cobourg Police Business Services Manager Gina Wilson provides details about the new space her department is taking over in the new Venture 13 building on D'Arcy Street. 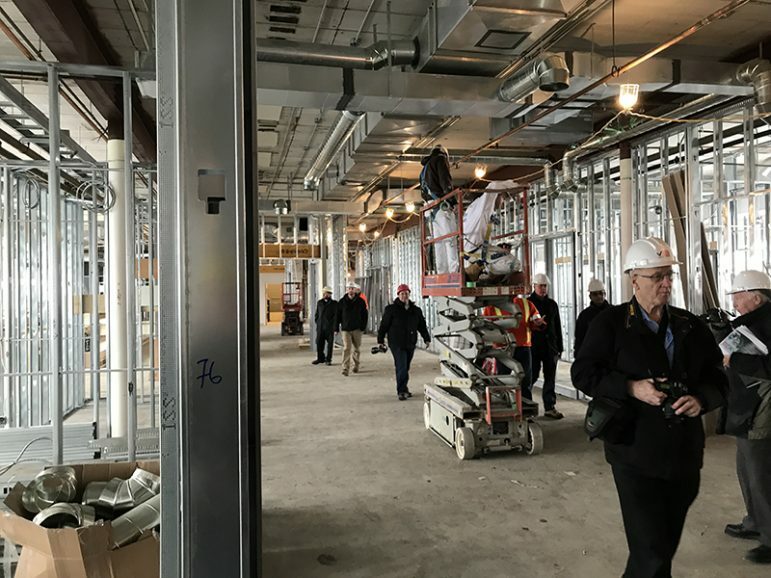 With 25 staff, the second floor will provide much-needed space for the growing department, which does more than $2 million per year in revenue. 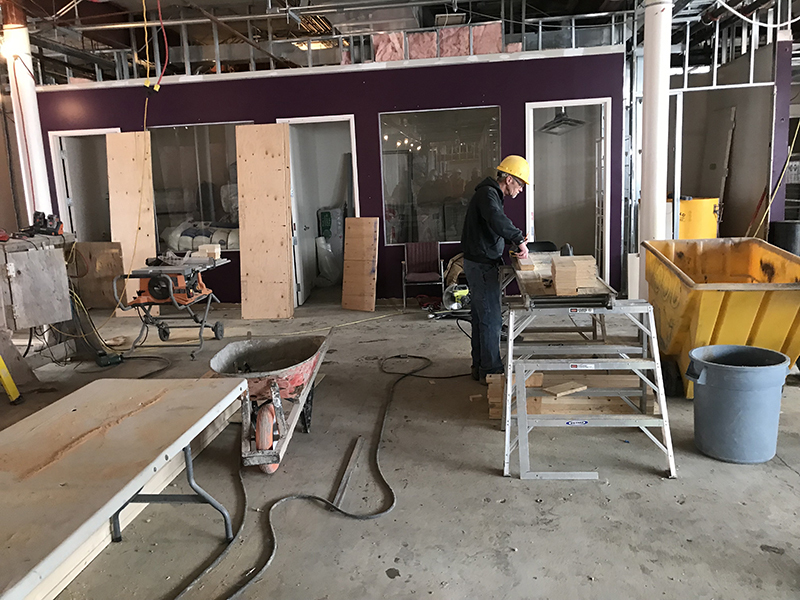 A lone worker at his station on the first floor of the new Venture 13 building on D'Arcy Street on Friday. 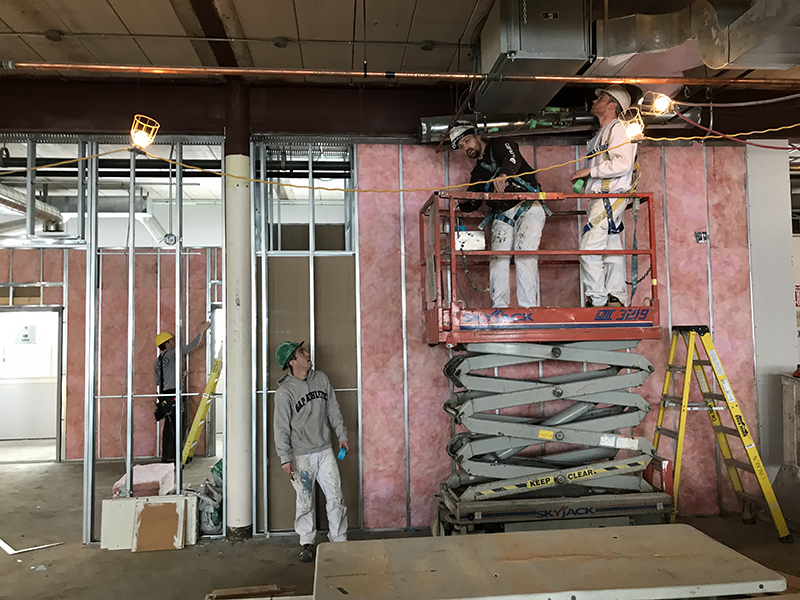 Workers busily at work during a media tour of the new Venture 13 building on D'Arcy Street on Friday. 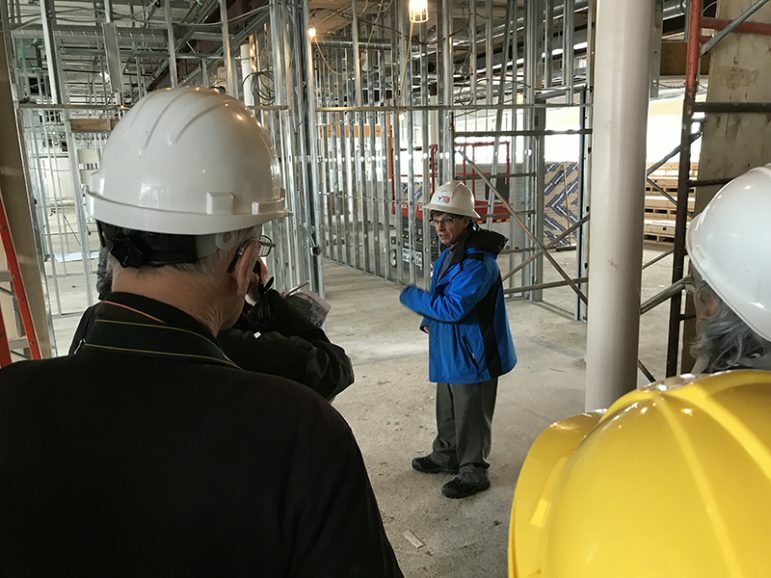 Media and politicians walk through an area where renovations are actively taking place at the new Venture 13 site on D'Arcy Street on Friday.